Last week we brought you our recap of the Conference play and Conference Championships of Helmet Bowl II. Today we finish the process with a review of the Helmet Bowl II National Championship. The story of the National bracket centers on the DIII Dickinson Red Devils. The road the Red Devils took through the National contest was not easy. They struggled against a simply strong helmet entered by the Kentucky Christian Knights, winning by less than a percentage point. Then, it got tough. Real tough. The Lafayette Leopards knocked off the defending Helmet Bowl National Champion Gallaudet Bison, then put up thousands of votes and pushed Dickinson to the brink of elimination before a Sunday Surge put the Red Devils into the quarter-finals. Meanwhile, the Tulsa Golden Hurricane bare-knuckled their way through the contest. As we watched, we prepared to say goodbye as they contested against the Howard Payne Yellow Jackets. The Golden Hurricane rallied and beat the stingers by less than a percentage point; then the Florida A&M Rattlers and beat them by less than 2/10ths of percentage point; and the Southeastern Oklahoma State Savage Storm and beat them by less than a half percentage point. It seemed the Golden Hurricane could overcome any contender and find a way to win. This team, this helmet, was fun to watch every week! Yes, DIII Dickinson surprised us. Not by pushing a terrific and attractive helmet deep into the contest (that was no surprise – their helmet caught our eye immediately), but by rolling in the votes to defeat anyone in their path. The Southeastern Oklahoma Savage Storm seemed to surprise us every week! Each of their contenders brought strong Helmet Bowl winning experience to the contest: The Redlands Bulldogs, Idaho Coyotes, South Dakota Coyotes and the Boise State Broncos all had some level of success in both Helmet Bowl I and/or II (or both!). Each knew how to win. Yet the Savage Storm always seemed to find a way to win. SAL-UTE! Back to Vandy. The Commodores have a winning helmet and won the SEC over an outstanding Arkansas entry after beating Old Miss, Georgia, and Kentucky in conference match ups. We thought Vanderbilt would challenge for a National Championship, yet were eliminated in the first round by the University of Texas Permian Basin Falcons – who brought a gorgeous helmet into the contest themselves. We just cannot count high enough! Last year, the first of Helmet Bowl, our goals were eclipsed by the total number of votes by a factor of 20! This year, for Helmet Bowl II, those totals were shattered! Whether you voted once and then forgot about it, or voted weekly to see your team’s helmet advance, or voted daily (or more than once per day – we see you! ), thank you for taking the time to vote in Helmet Bowl II. Voters, you are key. When we sought to create a contest that would identify the best college football helmet in the country, we committed to taking the decision away from some self-styled football pundits or some committee or someone’s focus group. Our decision-makers are you—the football fans! We desired to give the choice to the people—the people who love their team, their school, their players. Thank you for voting! The Dickinson Red Devils jumped out to a lead in the first few hours and when Tulsa made a move mid-week it was just too little, too late. Helmet Bowl I produced an exciting and stunning come-from-behind last-day victory for the Gallaudet Bison, but a repeat show stopper was not to be. The Golden Hurricane put forth a unique and attractive helmet for Helmet Bowl II. The black shell with the hurricane flags warning of the coming danger was immediately recognizable. Some pointed to the timing of the National Championship (through New Year’s Eve and New Year’s Day, another week when campuses are vacated and only two football teams are active). 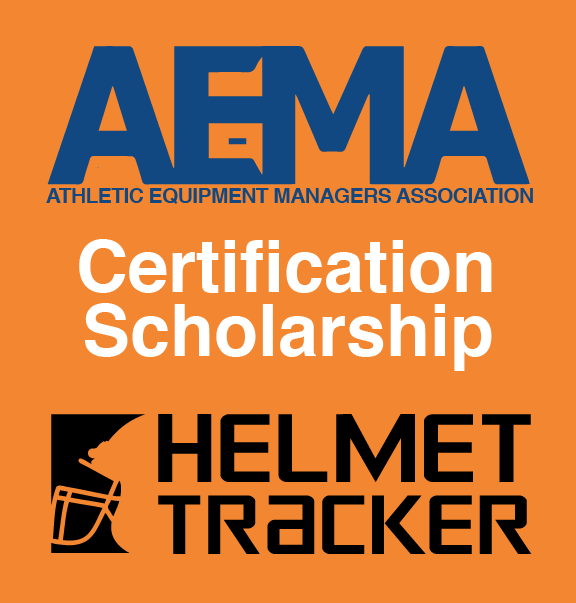 While it’s true that EVERY school suffers from the same exodus, we at Helmet Tracker contimplate crowning the Helmet Bowl III National Champion before Christmas 2019. For the second year in a row, a Division III school won the Helmet Bowl National Championship. These smaller schools jump on board with everything they have. Someone said that sometimes the big schools are too busy being big to compete in this kind of a contest, but we suspect that will change very soon. Congratulations to the Bison and the Red Devils—you are National Champions in this contest that includes Every Division, Every Conference, Every Team. Only two can now claim this National Championship. Robyn Porter with Bryce Baylor (#22), and her son Jack (#18) at the Dickinson rivalry game, 2018. True fans find ways to support their football program in myriad ways—from attending games to working concessions to buying the swag to making donations and now to voting in Helmet Bowl. For the Champion Red Devils it was the Parents’ Group, their friends, and co-workers that served as vanguard to victory. Helmet Bowl has grown way beyond the equipment staff and players voting their team to win. While they are the core and are critical to success, it takes the votes of fans to succeed here now. Thank you for supporting your team and voting in Helmet Bowl. Planning is underway for Helmet Bowl III – the Greatest College Football Helmet Contest Ever. We start with asking you how to make Helmet Bowl better. Helmet Tracker put together this simple 10-question survey. We say it takes about 4 minutes, but the analytics say the average time those who have already taken the survey spend 2 minutes to complete it. It’s a small amount of time that makes a large impact on how we roll out Helmet Bowl III. Thank you.